Verify the integrity of the game cache using Steam. Run the Windows System File Check tool to repair corrupted system files. To identify the precise DLL that is causing an issue. Download a 64-bit version of the Microsoft Dependency Walker and open arma3_x64.exe with it. The libraries with a red icon are the corrupted ones. 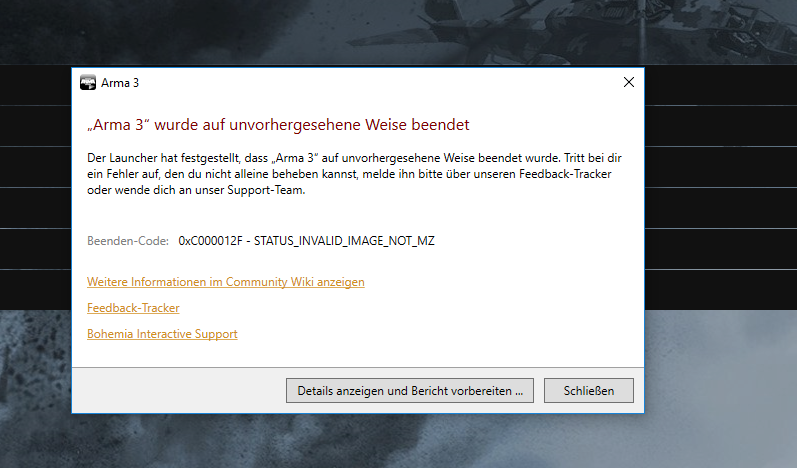 Download a 32-bit version of the Microsoft Dependency Walker and open arma3.exe with it. The libraries with a red icon are the corrupted ones.